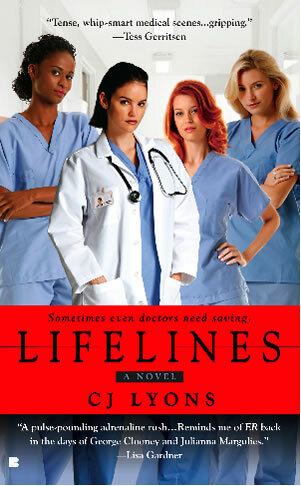 Please welcome today debut author CJ Lyons, whose just-released medical thriller Lifelines is getting rave reviews. Jenny asked me to talk about sibling rivalry. Easy. My sister wins. Hands down. No contest. You see, I’m the oldest. The responsible one. The one who always had the hand-me-downs until I learned to sew and make my own clothes and then started to work and buy them myself. The one who was expected to take care of everything (cooking dinner, babysitting, keeping my room clean) and follow the rules. I’m not a very good oldest. I was a rebel and fiercely independent, resenting any attempt to force me to follow the rules or pigeon-hole me into a caretaker role before I’d even had a chance to figure out who I was. Left home at 17 and pretty much didn’t look back for a few years. You’d think I’d paid my dues. 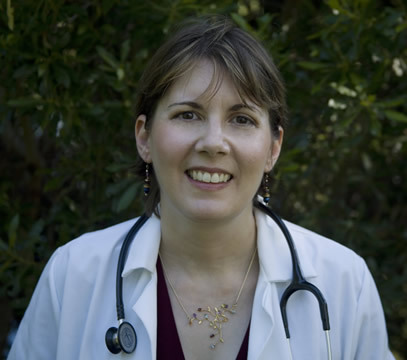 I earned scholarships to college, then worked all through medical school and became a doctor, taught at a prestigious academic medical center, almost died twice on helicopters flying out to get patients in bad conditions, saved lives, comforted the sick and dying…. Doesn’t mean a thing. My little sister, the baby, the one handed everything on a silver platter including $100 designer jeans, the one who stayed close to home…..she wins. Not only did she meet and marry a really, really great guy; not only is she a wonderful person who, despite all the stuff that happened when we were young (honest, sis, it wasn’t me who shaved your Barbie’s head, scout’s honor), is now my best friend in the whole wide world; no, all that isn’t enough. My sister had kids. Two of them. Nope, no snotty nose brats for her. She had to go off and have the two nicest, smartest, most wonderful kids in the universe….really, they are!!! Know what else my niece and nephew are? Grandkids for my mom. Funny thing is, the same kind of rivalry plays into writing—at least writing a series like mine. First born was LIFELINES (available now!) Typical of the oldest, it’s a bit more serious, the main character tries to take care of everyone and everything—which of course gets her into mega-trouble! Next up was CATALYST, the sequel. Typical of the baby of the family, it was squirmy and whiny, and a bit difficult at first, but then after I devoted all my time and attention to it, it shaped up. The main character in CATALYST has sibling problems of her own: she’s the baby, the only girl in the bunch, and her older brothers are trying to run her life. She’s a bit of a rebel (just like me!) and that both helps and hinders her as she tries to find her way. Now that I’ve turned in CATALYST, my mind is wandering. I’m thinking the next book will have to be different—maybe dark and angsty, edgy. Hmmm….wonder how it will get along with its siblings? CJ – these sound like great reads! By the way, it sounds like you DID win – you got a great sister, niece and nephew AND a great brother in law, not to mention a fascinating life (yes, I did read the bio on your website). Wow – you’re a total winner in my book. You are absolutely right–every day I consider myself blessed to have the family I have!!! But that’s not quite as much fun to talk about, lol! And honestly, my parents were probably laying odds on which of us would survive our adolescent sibling rivalry–me or my sister. And now we’re not only best friends, we’re to the point where we can just be thinking about the other and she’ll call, we’re that in synch!! Don’t even get me started on my niece and nephew! Believe me, if there are other kids like them in the next gen, then we’re leaving the world in great hands! I love that you compared your books to kids! And part of the fun of having a family and being a writer- is getting to talk about them. Thanks for coming by the ball today! This is a great post, CJ, and I’m looking forward to the book! Thanks for stopping by! Hope you enjoy LIFELINES! I loved that you compared your books to kids as well -makes me think about how I’ve been feeling very step-motherish towards my first book Stop Getting Dumped!, while my new cute novel Fifteen Minutes of Shame soaks up all the love and attention. I really enjoyed your post — thanks so much for joining us today. Your books (and career!) sound fascinating! Thanks for dropping in! So I’m not the only “bad mother” when it comes to switching my affections from book 1 to book 2, lol! I just turned CATALYST in, so now it’s off to fall in love with a new baby! Jenny, Thanks for inviting me! It’s been great fun–I’m at Left Coast Crime and am connecting with you guys between panels and signings. Thanks so much for the warm thoughts–I couldn’t do any of this without a lot of help from my friends!!! Sorry, I’m so late reading your post. I laughed all the way through it. The comparison between you and your sister fit me and my sister to a T. I was the oldest, the rebellion, and she was always the good kid. Like you and your sister we are the best of friends now. I have two wonderful nieces who have turned out perfect, but the oldest was a bit of a rebel. lol It must be in the genes of the first born. BTW, I wrote a book titled THE CATALYST. lol Guess I’ll have to change the title when it sells.